YANCHENG — The death toll from a huge explosion at a chemical plant in eastern China surged to 44 on Friday, making it one of the country’s worst industrial accidents in recent years. 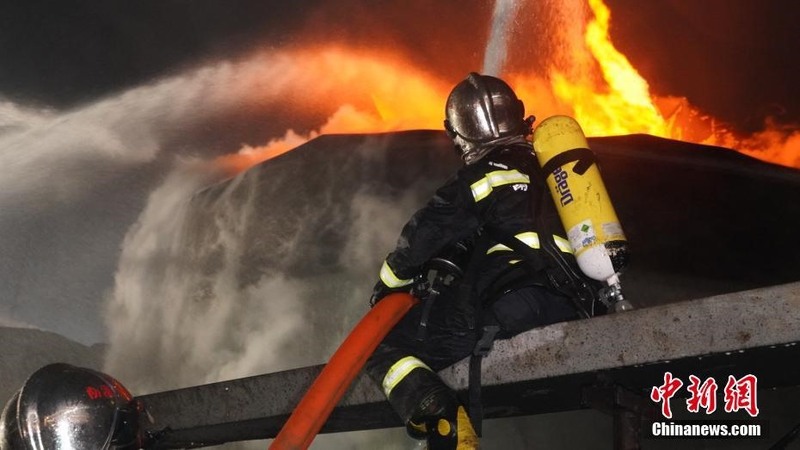 At least 90 other people were seriously injured in Thursday afternoon’s blast at the industrial park in Yancheng, said the city government on its official Twitter-like Weibo account after firefighters battled raging fires through the night. The force of the explosion blew out windows and dented metal garage doors of buildings as far as four kilometres from the site, said AFP reporters at the scene.